We can't report on the many resorts, but we urge you to include a visit to Old San Juan. 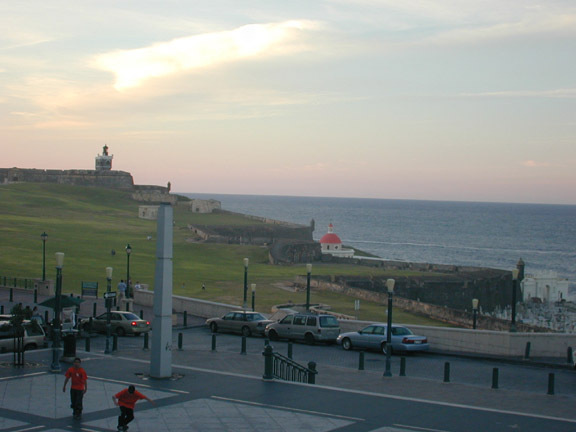 After a trip through El Morro, stroll the narrow cobblestone streets of Old San Juan. The characteristic bluish stones were brought as ballast on Spanish galleons that sailed back with gold from the New World. The area has a colonial flavor, visible in the Spanish-style architecture. The shopping streets are down the hill near the harbor, where the cruise ships pull up. In 2001, we stayed in a funky old place, both a hotel and an art gallery. It is impossible to describe it except to say that it is the opposite of the typical American hotel experience. The building is very old, and you will take stairs, both up and down, to get anywhere. There is an old open air courtyard, complete with tropical birds. We loved it, but many US tourists, who expect vending machines and USA Today outside the door, will not be happy. For lunch: Restaurante El Jíbarito, Calle Sol #280, Old San Juan. 787-725-8375. Popular. Typical Puerto Rican food. 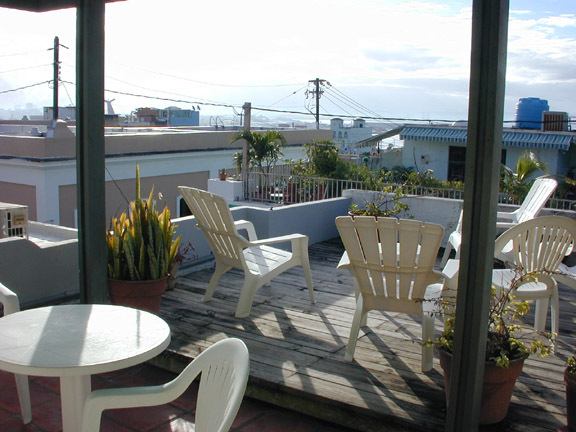 Restaurante Ajili-Mojili, 1052 Ashford, Condado,San Juan. 787-725-9195. This is a well-known business restaurant. We enjoyed an excellent local dinner at the Metropole near the Best Western outside of old San Juan, but away from the tourists -- the kind of place where families were eating. Food fine; atmosphere what you would expect from a Best Western, but it was our best meal in San Juan. Local Puerto Rican specialties are: fried plantains, mofongo (crushed plantain stuffed with meat or seafood) or lechon asado (roasted pork). You won't miss it, but in old San Juan, a couple of streets above the harbor level, is the the Barrachina Cafe where the Pina Colada allegedly was invented. It makes a relaxing place for lunch or a drink, with an outdoor courtyard. Last updated September 8, 2002.